"After 18:00 Kyiv time, the Russian occupiers fired 82mm mortars on our positions near the villages of Hnutove and Talakivka. In addition, the enemy used small arms several times near Talakivka in the evening and at night, as well as opened fire from grenade launchers and infantry fighting vehicles. The situation was also tense near the village of Vodiane, which has been in the epicenter of fire confrontation for several days. At the end of the day, the militants attacked our fortified positions there with heavy machine guns. Furthermore, the Ukrainian fortified positions near the villages of Lebedynske, Pavlopil and Starohnativka came under enemy fire," the report says. 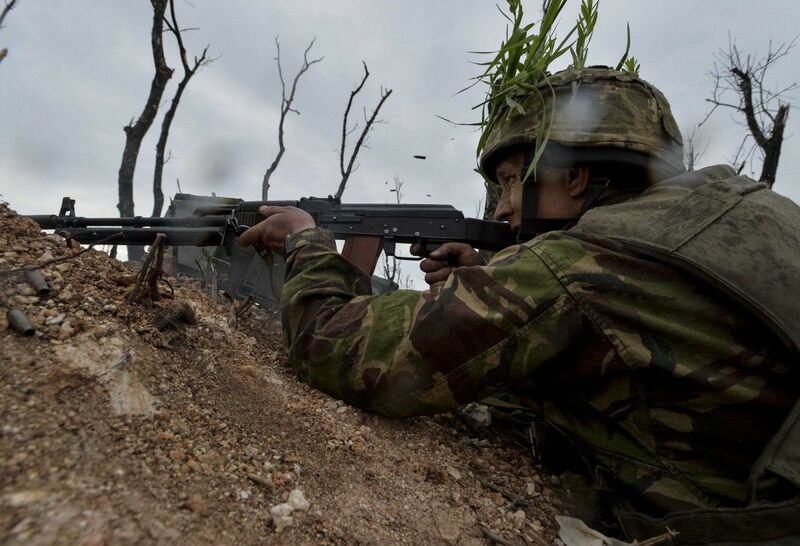 Read alsoEscalation in Donbas: Militants attack Ukraine 51 times in last dayAfter 18:00 Kyiv time, the Russian occupation forces fired grenade launchers and heavy machine guns twice on the Ukrainian positions in the Avdiyivka industrial zone, which is in the Donetsk sector. They also used grenade launchers against the Ukrainian defenders near the villages of Kamianka and Novhorodske. Only one instance of shelling has been recorded in the past day in the Luhansk sector. At about 21:00 Kyiv time, the enemy lobbed seven 82mm shells onto the Ukrainian positions near the village of Krymske.